Super8 Sound was founded in November 1972 by Bob Doyle, with partners Jay Kirsch and Wendl Thomis. They spent three months developing an electronic servo-control circuit that would match the speed of a Sony TC800B tape recorder to a one-closure-per-frame switch in a Super-8 movie camera. They were awarded U.S. Patent Number 3,900,251 for this work. They modified the guideposts in the Sony tape recorder from 1/4" to 8 mm to accommodate sprocketed magnetic film supplied by the French company Pyral. They also installed an LED/photodiode pair to sense the passage of sprocket holes. How the servo-control feedback system works. The Super8 Sound Recorder had a number of inputs, outputs and controls. Super8 Sound ran a full-page advertisement in the April 1973 issue of American Cinematographer magazine and received orders (fully paid in advance) for four Super8 Sound Recorders at $495 each. The ad described the five major uses of the versatile tool, which was quite unlike any other sync sound recorder ever built. The day the ad ran, Bob hired Julie Mamolen to answer the telephone as "Super8 Sound." When she did not know the answer to a technical question, she put her hand over the receiver and asked Bob, who shared the office while working on NASA Skylab programs. She never asked Bob the same question twice. Over the next six years, Julie came to know everyone in the Super-8 and wider filmmaking industry. With Julie's help, by the end of 1973, Super8 Sound had shipped $52,000 in products from Bob Doyle's third-floor apartment at 77 Huron Avenue, including over 70 Super8 Sound Recorders. In January 1974, Popular Photography ran a story called "Super 8 Sound Fit For A Pro," about Super8 Sound, the MIT/Leacock System, and Optasound. Super8 Sound moved into the first-floor apartment. Al Mecklenburg and Jon Rosenfeld, the principal engineers of the MIT/Leacock System, left MIT to join Super8 Sound. Hamton Engineering, the manufacturers of the Leacock System, had declined to hire Al and Jon. The new engineering team quickly developed crystal sync camera control and added a crystal sync reference to the Super8 Sound Recorder, eliminating the cable connection between camera and recorder. Although Super8 Sound lacked the resources to develop a flatbed editing table, Al and Jon developed a low-cost motorized editing bench. Within a year, two other firms, MKM and SERA, developed flatbed editors for the new fullcoat standard set by Super8 Sound. The Super8 Sound professional motorized Editing Bench was an economical system for editing Super 8 picture and sound on Super 8 fully coated magnetic film in sync. Its design incorporated differential rewind adapters (a "third hand") and roller "outriggers" which diminished or eliminated many of the problems usually encountered in editing with a synchronizer and rewinds. In March, Industrial Photography did a report on "The Professionalization of Super 8. It concluded "The improvement and change since last Spring when both the Leacock/Hamton and Super 8 Sound Systems were introduced is already immense. 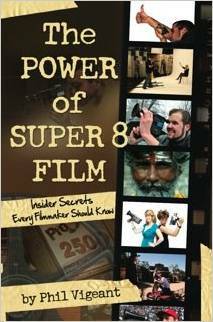 It seems only a matter of time before Super 8 will have its own standards." The article featured Bob Doyle and his wife Holly with their double-system rig. Then in June, Modern Photography did an article on just Super8 Sound. The market exploded. Super8 Sound sales in 1974 were $250,000, including inexpensive editing benches and camera-quieting barneys. The Super8 Sound Recorder added Pilotone synchronization. In November, 1974, Super8 Sound ran a two-page centerfold ad in Super 8 Filmaker, the largest ad they ever ran. It told the story of Super-8 film as a baby on lawn (most Super-8 cameras were purchased by new fathers filming their child) growing up to be a professional film medium. It featured three dozen sync sound cameras, a crystal camera control, the MKM flatbed editing table, the Elmo 1200 projector, a double-band projector, and Kodak's Videoplayer. Kodak selected Super8 Sound as the one of the first Videoplayer distributors. Super8 Sound sold the first units in the United States. Kodak commissioned two Super 8 Sound films on professional Super 8 featuring Bob Doyle and invited him to their annual stockholders meeting. 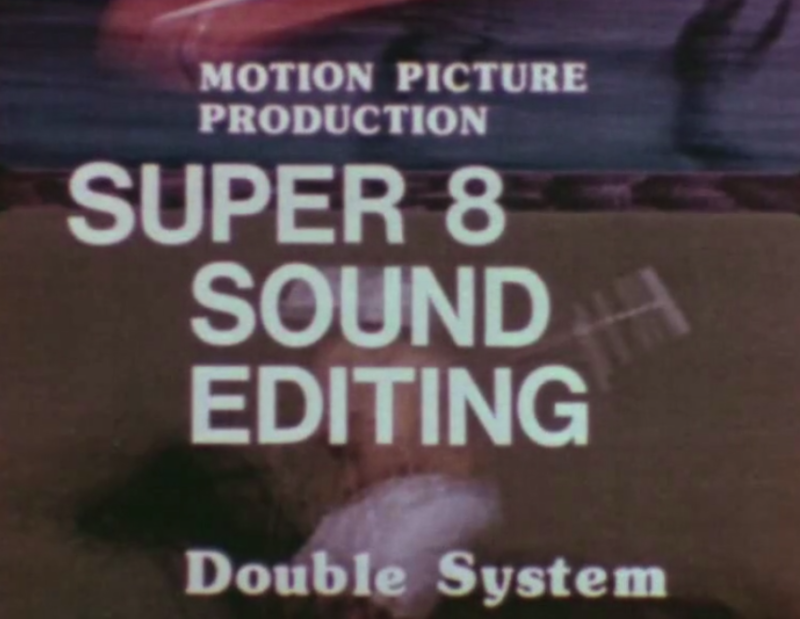 You can see one of these films today on YouTube: Super8 Sound Double-System Editing. You can also see a documentary on Super8 Sound Double System on Vimeo. In 1975, a higher-quality Super8 Sound Recorder II, based on a Uher recorder, was released. Sales in 1975 more than doubled, to $560,000. Super8 Sound became a sustaining member of the Society of Motion Picture and Television Engineers (SMPTE). Bob Doyle was invited to be a full member of the SMPTE sound engineering committee. He drafted a standard for the new one-pulse-per-frame sync and track locations on sprocketed super 8 fullcoat magnetic film. Bob was turning his attention to the idea of handheld electronic games. Deborah Little left Polaroid to become Super8 Sound's General Manager and was able to return the company to profitability. American Cinematographer magazine devoted their November 1975 issue to Professional Super 8 tools and techniques, many of them developed by Super8 Sound. Articles included Professional Super 8: The State of the Art, Double-System and Single-System Super-8 Sync Sound Cameras, Super-8 Sync Sound Recorders, Crystal-Sync Super-8, Professional Super-8 Editing Equipment, Super-8 Sync Sound Projectors, Teaching Filmmaking with Super-8 at M.I.T., The Need for Sync Sound Standards for Super-8, and Super-8 Video — A New Production Concept. And Eastman Kodak produced two films on Super 8 Sound that year. Here is the one on double system sound that opens in a new browser window. The Super8 Sound Catalog became the definitive equipment reference for Super8 filmmakers. It went through multiple editions with an average circulation of 15,000 copies. Super8 Sound had a large booth at the 1976 Photokina in Cologne, Germany, which they shared with Super 8 Filmaker Magazine. Sales in 1976 were $630,000, the all-time best year for Super8 Sound. The company spent all its profits on marketing and R&D. Super8 Sound's booth at the 1977 SMPTE Technical Conference was staffed by Julie Mamolen, Vice President of Sales and Marketing. President Bob Doyle was visited by filmmaker Lenny Lipton, who had just completed his "Super 8 Book," and Mark Mikolas and Gunther Hoos, authors of the "Handbook of Super 8 Production." The Super8 SoundTrack newsletter was a combination of news and marketing. It sported our new tagline, "From the Super8 Professionals..." The first issue reported several new products, new staff appointments at Super8 Sound, several more articles covering Super8 sound in the media, and a greatly expanded dealer network - 20 in the U.S., and 12 international dealers. Among the products were a Reel Extender to provide 75 minutes of sound, a new XSD II Recorder, a Universal Resolver, a BeepLight (a visual clapstick), a Matte Box, an FM microphone, and Polaroid's new Polavision. New faces at Super8 Sound included Edmond G. ("Ted") Dyett, Jr. as Executive Vice President and Patricia A. ("Patti") Maine as Customer Sales Manager. Press coverage included Del Hillgartner's "Super Serious 8" column in the April issue of Filmmakers Newsletter - a product report on the Super8 Sound Recorder II - and Super 8 Filmaker's report on the Super8 Sound Recorder II fullcoat recorder in their May issue. Millimeter magazine ran a profile of the company as a whole in their July/August 1976 issue. American Cinematographer's Photokina '76 issue (December 1976) devoted a 3-page article to Super8 Sound Recorder II, one of fifteen articles on the major new cinema products introduced at the Photokina. Increasingly, sales were going through dealers and Super8 Sound ran ads in the major magazines referring customers to dealers around the world. In 1977 Parker Brothers began publishing Bob Doyle's games. In 1978, Bob needed Al Mecklenburg and Jon Rosenfeld to help him develop game prototypes. Al left Super8 Sound to become Parker Brothers' first electronics engineer. Several months later, Jon followed Al to Parker Brothers. Gunther Hoos joined the company in 1978, bringing his great reputation as co-author of the Handbook of Super 8 Production. Working with Patti Maine, he developed new business relationships. They expanded the Super8 Sound Catalog to 88 pages. Forty-eight experienced working Super 8 filmmakers from across the U.S. were named as Super8 Sound Consultants. These filmmakers were familiar with all (not just Super8 Sound) Super 8 filmmaking equipment and techniques. They helped select Super 8 production and post-production systems, conducted seminars and workshops and provide information about the Super 8 medium, based on their own production experience. Super8 Sound became the exclusive U.S. distributor of the new MKM/Super8 Sound Editing Table. They attended new conferences like the PMA, Training and the Visual Communications Congress, and of course Photokina 1978. The company's advertising had the same look and the same message - plus the new strengths of training seminars and the Handbook. Super8 Sound means the pioneer in the field of Professional Super 8, the only company that supplies all the needs of the Super 8 filmmaker — from location equipment to post-production dubbing, mixing, and editing facilities, as well as Super 8-to-video transfer machines. Super8 Sound means Gunther Hoos, the head of our consultant program, who can speak or lead a seminar at your school, A-V production group, film club or festival and it means the definitive Handbook of Super 8 Production from our Publications department. Super8 Sound means more production value per dollar. At one-third to one-fifth the cost of comparable 16mm equipment, every technique of professional filmmaking is now available from the Super 8 Professionals. But the years of rapid product development at Super8 Sound slowed. The increasing use of the Sony Betamax video cassette recorder, which had been introduced in 1975, foreshadowed the decline in consumer filmmaking in favor of video recording. Sony's advertising for Betamax hit an exposed nerve, although we still knew that Super-8 film could capture a picture superior to Betamax or even the 3/4" U-Matic videocassette. And the film image would be around in twenty to fifty years where the video would be long gone. In 1983 Sony introduced a one-piece camcorder for consumers - the Betamovie. Bob Doyle himself invested $25,000 to help Matt and Patrice York launch Videomaker magazine in 1986. But Super8 Sound's legacy of Super-8 film production is carried on today by Philip Vigeant, who was Super8 Sound's staff accountant. He bought Super8 Sound in 1982 and moved it to California. Phil and his wife Rhonda run Pro8mm in Burbank, CA. One of my first real jobs was working for Bob as a bookkeeper at his motion picture company, Super8 Sound. Although he was the inventor/president he would always take the time with me to intellectually explore the world's potential. Being in the presence of someone who sees the endless possibilities around them was intoxicating. Bob created an inviting world: a place you were always excited to be and where you felt you could reach your potential. At that point in time he was trying to convince me to open a computer retail store, an unheard of idea in 1978. As we would speak he would make me believe that even as a 20 year old boy, a junior in college with no money or experience, I could just do it. It is hard to express your gratitude to someone who, in retrospect, has so profoundly affected the course of your life. Today I see myself in the shadow of his image. Instead of taking his advice on computers, I fell in love with his passion for motion pictures, inventing and living in a world of endless possibilities. This led to abandoning my career as an accountant and becoming the inventor/president myself of Super8 Sound. Bob's inspiration refocused my energy in a new direction that I still follow today. Congratulations on this honor bestowed on you from BF/VF. Your Super 8 legacy lives on. Phil has written a short book about his Super8 experiences and his current efforts. It's called the Power of Super8 Film and can be found at Amazon and of course directly from Phil at Pro8mm/Super8 Sound. New Kodak Super8 Camera Validates Decades of Work by Pro8MM.